Often times it is difficult for our younger ones to fully understand the importance of giving. And the Christmas season for “The littles” is so much about the “I wants!” It fulfills us to give them special gifts. But teaching them the importance of sharing our blessed abundance is what we as Christian parents and grandparents are called to do. Three years ago I read about a Mom who opted out of the Advent Calendar of treats, gifts and ornaments. She created the “Advent Giving Box.” This is not an easy task to put together for homelife is crazy busy these days. But for a retired Nana, Papa, Yia Yia, Papou, Baba, or Grandparents … it gives a teaching gift. At first I paid for all the food items as part of my own alms giving. The “littles” were 3 and 5 years old with not any funds to contribute. 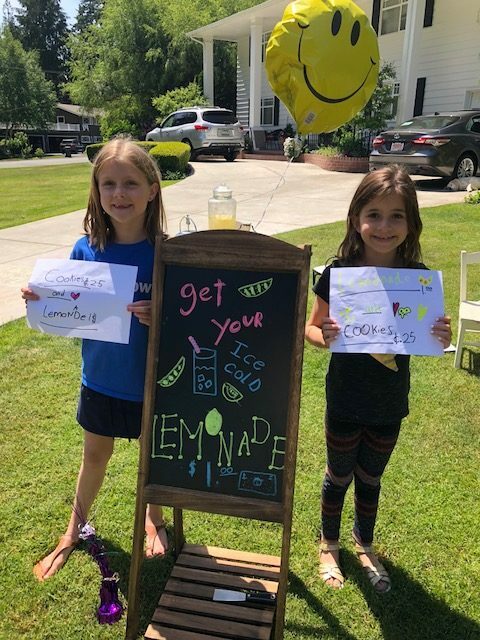 This year the older girls (now 7 and 8) had a successful lemonade stand and raised $37 to help with the food purchases. 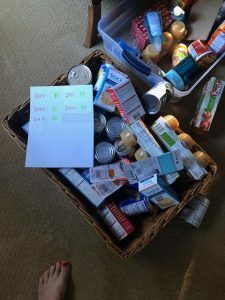 They selected food & toiletry items and were very thoughtful in the process. 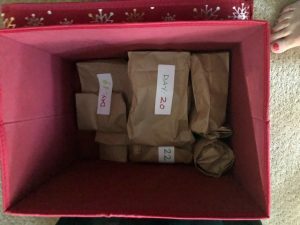 I have put each item in a brown paper lunch bag and numbered them 1-25. 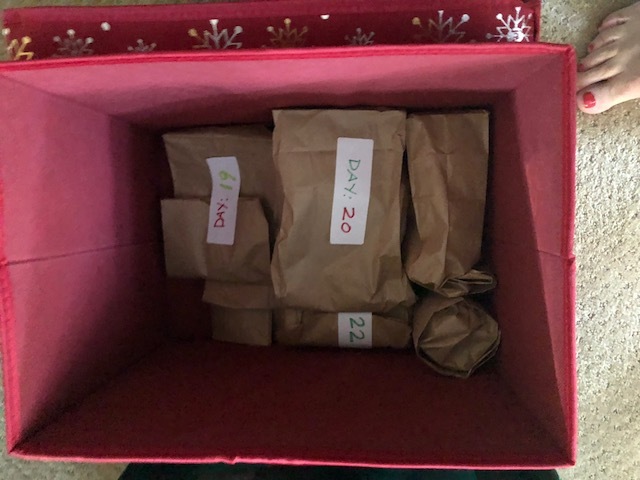 Then put the items for each child in the Advent Giving Box. Every morning they unwrap an item and put it in the family alms giving bin. It is important not to let them open a Christmas present until that 25th item is placed in the bin. Make sure when you deliver these alms the kids come with you to your local food bank. This year I bought some special reusable boxes for each child. 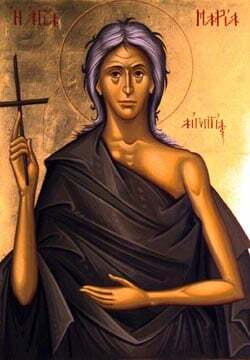 I pray there families will continue this tradition when I am unable to. It is well worth the effort and a blessing all around.